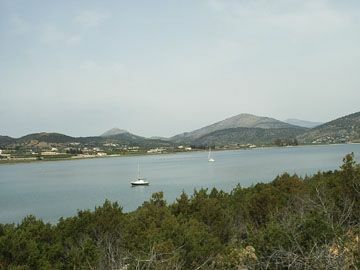 Ormos Kapari is the large bay to the south of Ermioni. Near by there is a tiny islet where a scuba diving school operates. 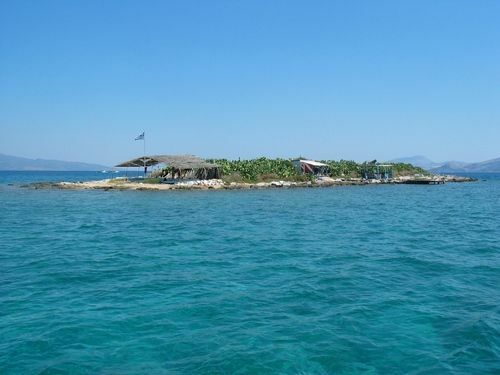 The islet has a small organised beach with umbrellas and sunbeds. Yachts can anchor in the SWcorner where there is shelter from the prevailing winds. The bottom is sand and weed with good shelter. General A safe place to wait while southerly gales pass through.